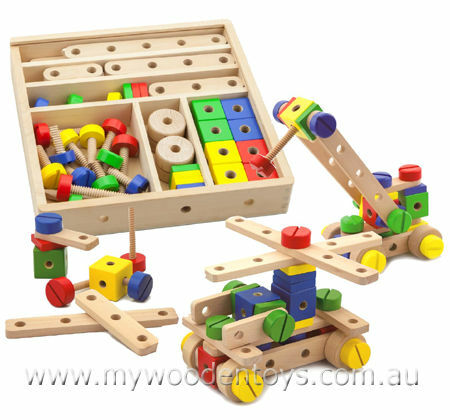 Wooden Toy Construction Set is a beautifully made 51 piece wooden building set. This fantastic set comes in a beautiful wooden box with a perspex sliding lid. We like this because: "Very well made and beautifully smooth."